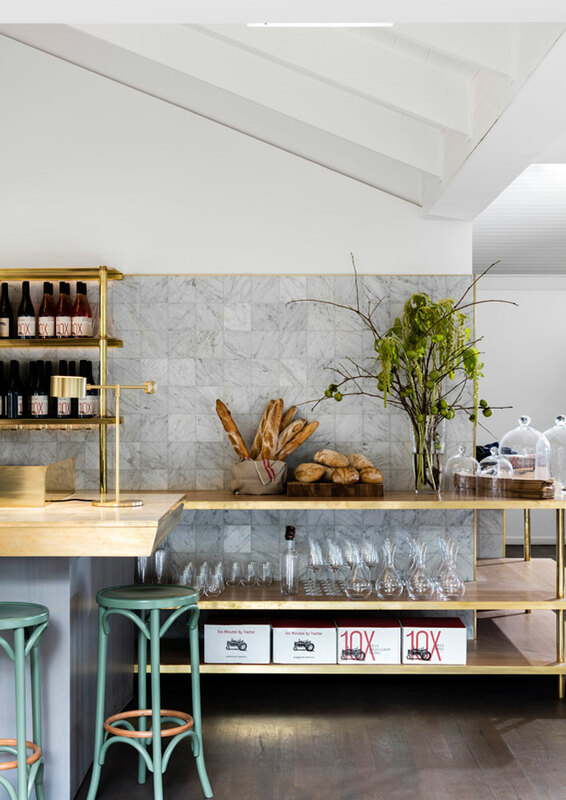 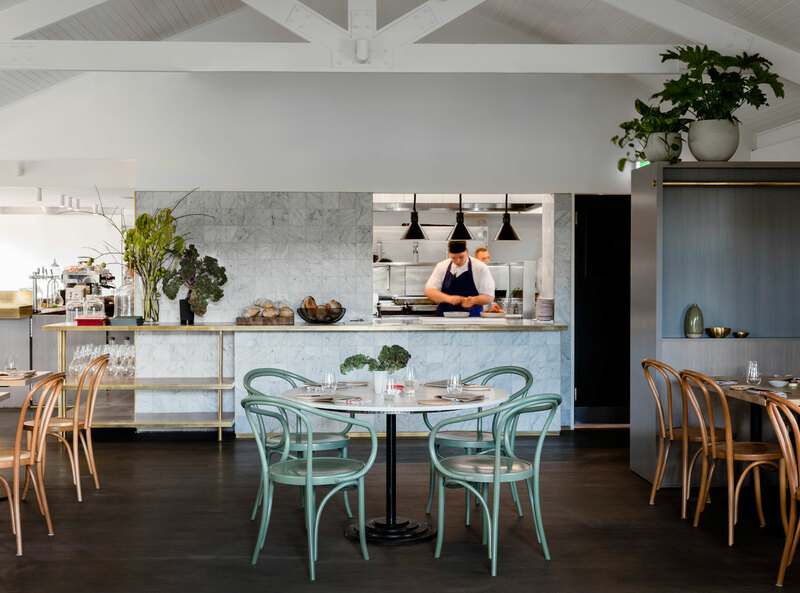 For this new French bistro, layers of an existing barn’s fit out were stripped back to produce a fresh and contemporary interior. 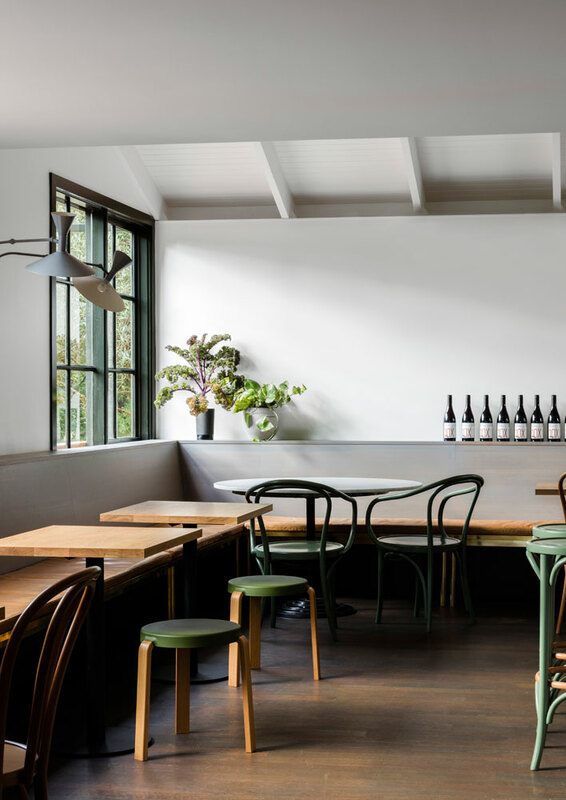 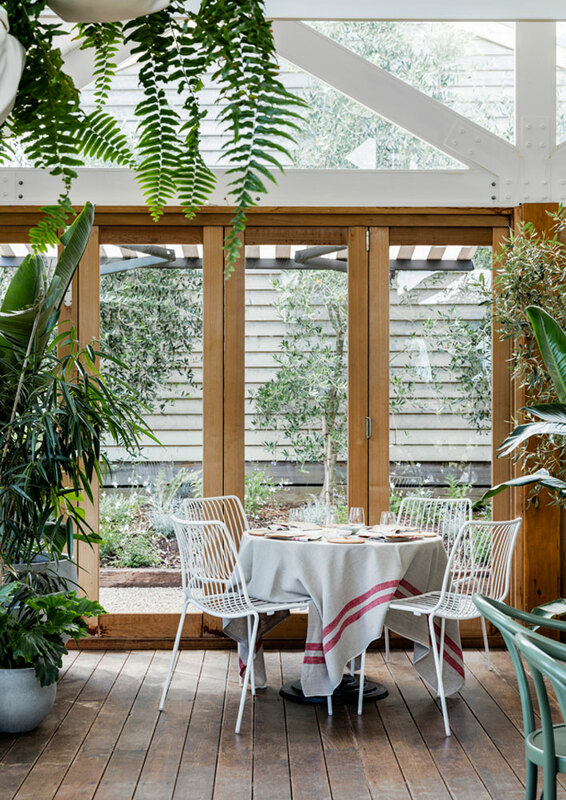 The design takes advantage of the garden and vineyard views beyond to offer a number of versatile seating arrangements by the bar, within the bistro or within a conservatory. 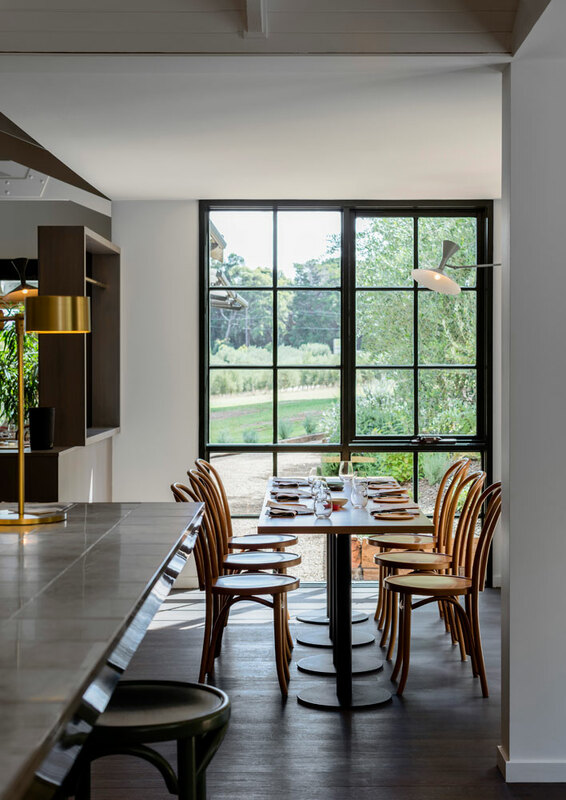 Classic Thonet furniture has been paired with a palette of brass, marble and limed timber, which will develop a rich patina over time.